All areas are built. Only the interiors remain to be made. Might need some help in those. Houses need furniture. Tower interiors need detail / furniture. Warehouses need boxes etc. Lots of things to do. Oh and every house needs doors. Ok. Apparently the griefing discovered by Lucas on the map is new. When I saw it I remember that I've been there a few weeks ago fixing griefing damage to Critics buildings there. After some testing I discovered that the antibuild wasn't working anymore. A permissions syntax method I was using wasn't functioning correctly. After changing to an alternative syntax it now should work again. Fixing the damage was no problem as there are more then enough backups that are very easy to apply trough world edit. 150 Kreydisian (@Kreydis ) Looking at the coordinates it looks like legitimate use for a building project though. Someone made a cannon here and blasted the gate of the tower. There was also some lava all over the place that I removed. Not sure if I found all the damage. Didn't repair the gate on the tower yet (perhaps it can be restored?). Removal of assorted deprecations - especially classes and event constructors. These removals have been deprecated since 1.7 and have replacements implemented. Refactoring of Entity classes: Guardian, Horse, Skeleton, Zombie. These entities are special in that they have different variants. In previous Minecraft versions these variants were all the same actual entity, however in 1.11 they are not. We have tried to keep the implementation as compatible as possible with old plugins, but some differences are irreconcilable and plugins will need to be updated. Expect all deprecated methods to be removed in 1.12! We’ve made some last minute changes to the Horse hierarchy in particular. It’s slightly less compatible than before, but more correct in terms of matching the implementation and allowing for future expansion. Stuff like LlamaInventory would not be able to work without these changes. Addition of new Sounds, Statistics, Particles & Materials. 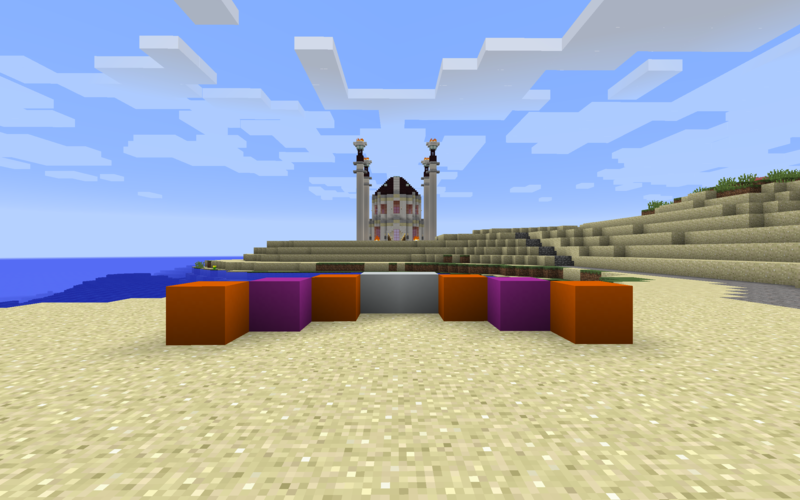 It is interesting to note that the different colours of Shulker Boxes are all their own Material - this is corresponding with the way it has been done by Mojang. Remapping EntityType names to Mojang names. This shouldn’t be an issue since they have already been deprecated for being magic values, but EntityType string names now correspond exactly with the ones used by Mojang for consistency. Enum names are still the same as before if you wish to implement conversion in your plugin. For NMS Developers: We don’t normally do release notes here, but there is a change that I must stress greatly. 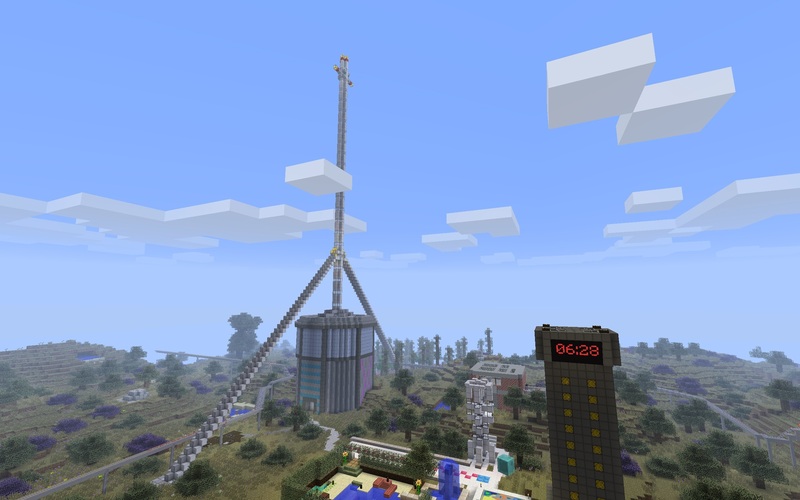 net.minecraft.server.ItemStack may no longer be null. Do not under any circumstances pass null into a method with an ItemStack. Always check that ItemStack.isEmpty is false before operating on an ItemStack. Do not attempt to modify an ItemStack where isEmpty is true. Failing to heed these warnings will cause very bad things. When in doubt, use the conversion methods in CraftItemStack. The SQLite driver has been updated to the 3.14 series. Usage should be backwards compatible, but please be aware that databases may not able to be downgraded. This means that Plugins may take several weeks to update. I'll try it out in a few weeks but it may take longer for most of the plugins to get updated. Some may not be affecte by the changes but only a test will reveal that. oof I was going to start playing tonight too. Did some interior design for the NOD castle. Still far from complete but it's being fleshed out. Now I just need to put some furniture in all those empty rooms in the city. 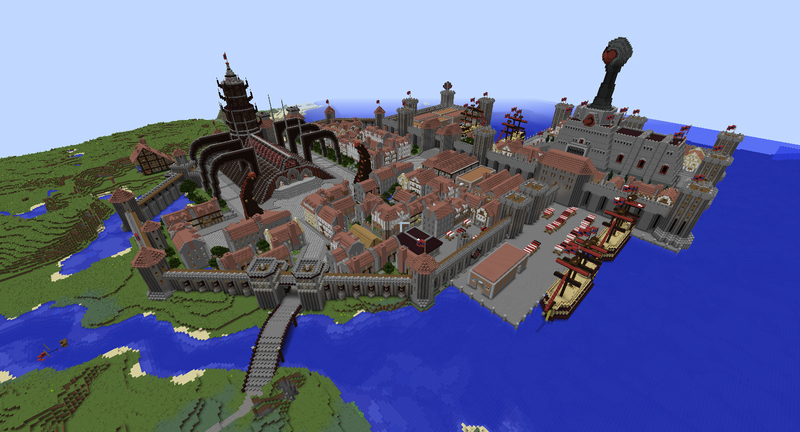 But apart from that the city is pretty much finished. @Lomsor Someone destroyed large parts of the NOD City... with Wither Demons. Barring TNT seems to fall short. I think Wither eggs need to be barred from non-verified ppl too. Edit2: Seems to be elsewhere too. Ardinia seemed to be full of them. I was greeted with like a 1000 wither missiles as I was approaching the city! Then it crashed..
My computer is curretly down. You may try restoring parts of the city yourself. To show a list of available snapshots. Select a snapshot from before the griefing. Select the destroyed area with World edit like normal. Don't select more than 100k Blocks. You may need to use // instead of /. Can't remember all comands. I'll look into the config to block the requested items. I blocked usage of all spawning eggs when under normal permissions. This should hinder most griefers ... it may not hinder them putting the eggs in dispensers or spawners and stuff like that but I would need to enable "/give" checks for that witch would be no big hassle but I rather do that when the problem arises again. Crap! I forgot to repair the damage back then! I wonder if the damage is still repairable It was done before December. Restore number 10 seems to do it. Perhaps it wasn't a good idea to vote for a map update while doing the restoration..
Had to rewrite some of the custom "Skript" scripts. Some plugins may be broken / not yet updated. Please inform me of any irregularities. I revived my old Minecraft 1.5.2 modded Server! Planning for a "playtrough". Building a moving mining machine as well as fully automatic processing and (block) storage. If you want some nostalgic fun anno 2013, maybe drop by? Building a moving mining machine as well as fully automatic processing and (block) storage. Back in 2013 when i played Minecraft, we had a server where I used Buildcraft pipes to sort everything into a storage warehouse. I don't know what mod it was from but there was an automated mining machine too. I plan using block breaker from Minefactory Reloaded in combination with Gregtech general purpose machine box for in/output and Minefacotry Reloaded conveyors and Railcraft rails for long distance transport. This whole thing will be a construct that will eat itself trough the ground by using ... Redstone in Motion. At base I'll have general storage buildings using better storage as well as block storage where I'll store pure refined metal blocks. I plan to build an automated crane that does the storagekeeging with already mentioned mods. All this will be controlled by ComputerCraft Computers. This is the first I've heard of Redstone in Motion. sounds interesting. I spotted some destruction in the modern part of the map. I was about to go and investigate wether it is damage that is still fixable with the backup tools. But then I noticed that the server has version 1.12.1 of Minecraft and I’m only able to access 1.12.2 and 1.10.2 and some developer version. Why did they change it from the old system where you could play any older version? Well anyways. I’m unable to access the server. Huh… So this doesn’t work anymore: https://help.mojang.com/customer/portal/articles/1475923-changing-game-versions ? I’m out of country currently. Will be back next Wednesday so sadly can’t test myself.